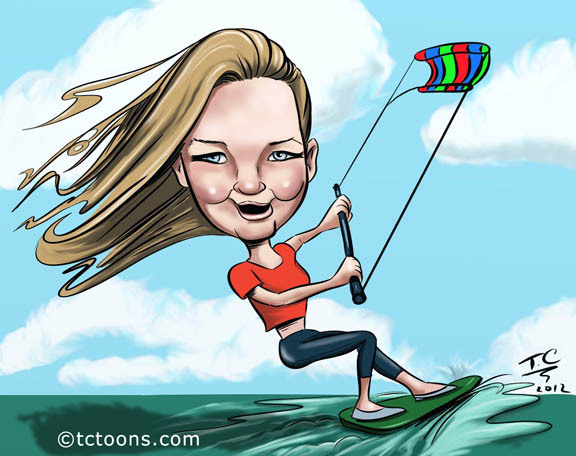 Helen Skelton caricature, cartoon illustration. Helen Skelton learning to windsurf on telly this morning, funny mouth to draw. 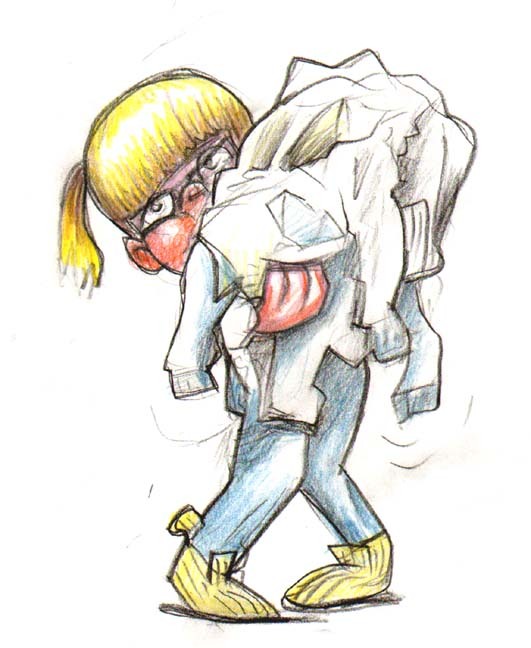 Character Design from pencil to colour. 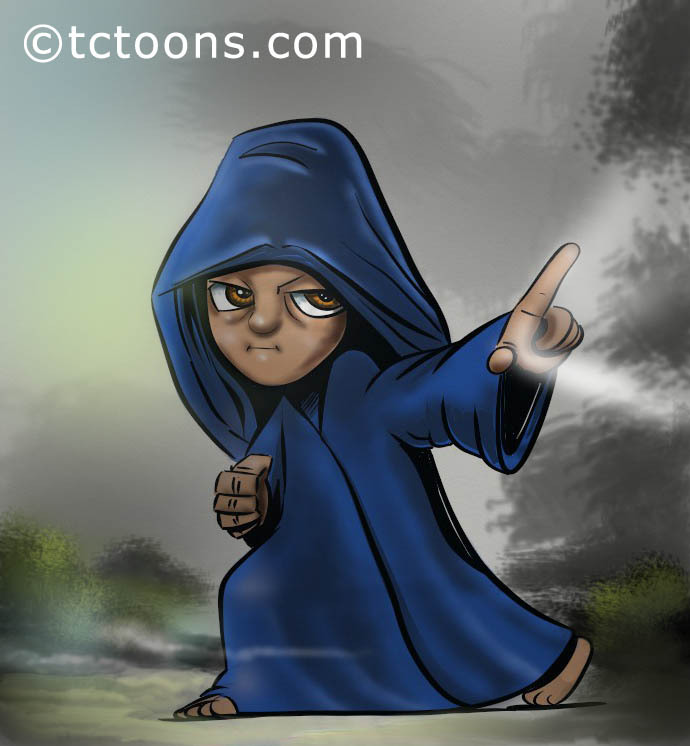 wizard child combo illustration. 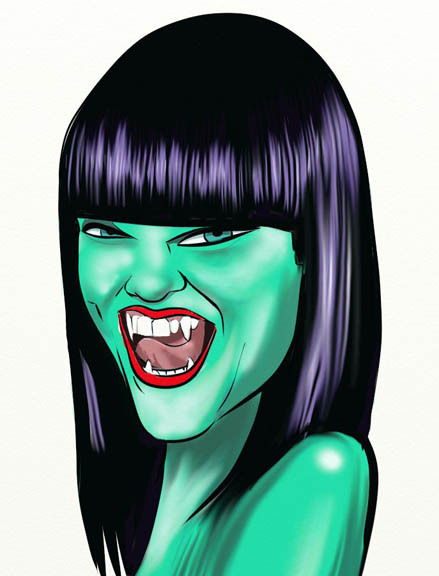 Jessie J vampire cartoon illustration drawn using artrage studio painting program. 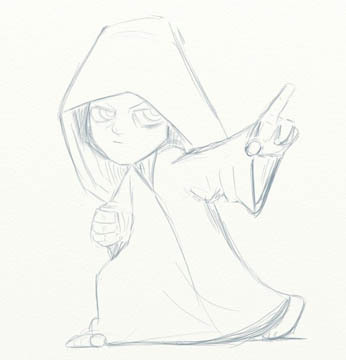 A combination of listening to a catchy tune and watching blade trinity again.